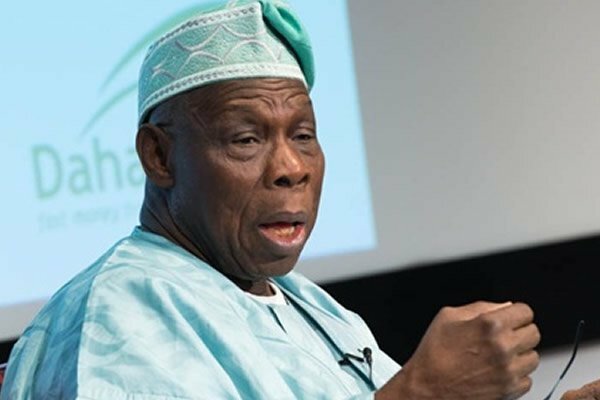 Former president, Olusegun Obasanjo, on Saturday, called on members of the Coalition for Nigeria Movement (CNM) to be battle ready to take over power in 2019, stressing that they should propagate the need for all qualified electorates to obtain their Permanent Voters Card (PVC) ahead of the poll. Mr Obasanjo made this known at the inauguration of the Oyo State Chapter of the movement, held at Trans Amusement Park, Ibadan, stressing that the members should have it in their hearts that in the struggle to redeem Nigeria, they would be threatened. He emphasised that in view of this, they should be focused and determined, stating that only cowards run away from the war front. He however, assured them that as the founder of the movement, he would not neglect them when he is needed. “Take note, they will threaten you, but don’t be discouraged. It is only cowards who run away from the war front. Having gone this far, I won’t leave you dry. Get your PVC. I don’t think anybody can threaten me again. Remember I have been to prison for an offence I do not know anything about,” Mr Obasanjo emphasised. Mr Obasanjo had urged President Muhammad Buhari in a public letter not to seek reelection in 2019, saying the president had failed. Mr Obasanjo also noted that if anybody wants this situation to continue, such person needs his head examined, pointing out that such characters should not be seen as friends of the masses nor of the country at large. He also disclosed that at the appropriate time the movement will go into alliance with other movements of like minds. 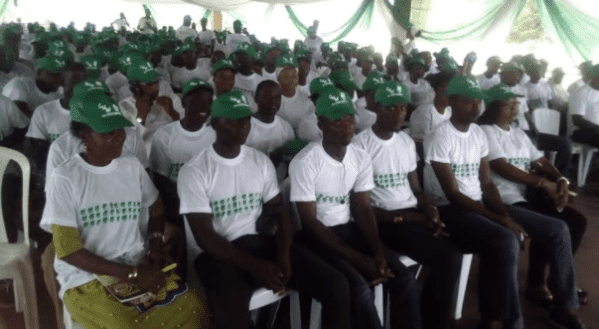 He tasked the executive of the movement across the country to ensure that the youth are given pride of space, with a view that they should be given 30 per cent and women 30 per cent in all organs of the movement. In his welcome speech, the state coordinator of the movement, Olayiwola Olakojo, noted that Mr Obasanjo is a force to be reckoned with in all ramifications, one who loves democracy and Nigeria as a nation, with his heart. ‘He is indeed our Messiah. Kindly reflect on all his involvements in all governments, globally and nationally. He is indeed the father of modern Nigeria. As the foremost statesman, he has always wanted the best for Nigeria. His comments and observations on the past and present administration are just for the progress and development of our country,” Mr Olakojo, a former Secretary to the Oyo State Government, said. Meanwhile, notable chieftains of the movement at the event include; Olagunsoye Oyinlola, Taofeek Arapaja, Oyewole Fasawe and Hammed Raji, among others.